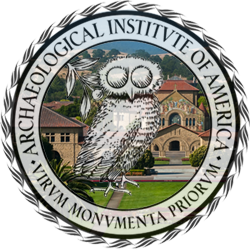 The Archaeological Institute of America (AIA) promotes archaeological inquiry and public understanding of the material record of the human past to foster an appreciation of diverse cultures and our shared humanity. The AIA supports archaeologists, their research and its dissemination, and the ethical practice of archaeology. The AIA educates people of all ages about the significance of archaeological discovery and advocates the preservation of the world's archaeological heritage. 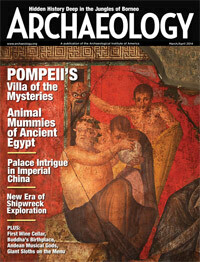 ARCHAEOLOGY magazine offers compelling narratives about the human past from every corner of the globe. Edited for a general audience, our news, features, and photo essays employ in-depth reporting, cogent analysis, and vivid storytelling to provide an accurate and often surprisingly intimate look at the record of human existence. Our pieces offer insights into the beginnings and ends of cultures, as well as examining the full expression of those cultures. ARCHAEOLOGY's stories share one distinctive trait—they rest on the close investigation of archaeological evidence—of the things, in short, that we leave behind. 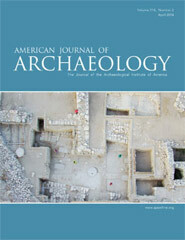 The American Journal of Archaeology (ISSN 0002-9114; E-ISSN 1939-828X), the journal of the Archaeological Institute of America, was founded in 1885 and is one of the world's most distinguished and widely distributed peer-reviewed archaeological journals. The AJA reaches more than 50 countries and almost 1,000 universities, learned societies, departments of antiquities, and museums. The current Editor-in-Chief is Sheila Dillon (Duke University). 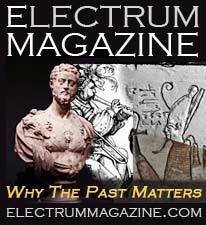 We at ELECTRUM Magazine are keen on studying the past or – perhaps more humbly – what we think it was. Some of us are archaeologically trained or we are professional historians and art historians and investigative journalists never tiring of asking questions of the past, even if we sometimes receive other answers to unasked questions rather than the ones we ask.